GOODFUNDSADVISOR: MARKETS AT ALL TIME HIGH BUT MY MUTUAL FUND NAVs IS DOWN!! Whenever there is a sustained FALL in Markets...almost all Advisors start getting calls/mails from their investors. Thankfully, due to constant mentoring and education, the regular sharing and mentoring is to ehlp my investors face periods of negative returns. However, some 1% of my investors (almost all NEW, who recently started investment through me) start showing their FEARs and ask for my guidance. Here is one of my NEWER investors who started investing less than a year back and obviously needs lot of HAND-HOLDING. He sent a screenshot of his investment and expressed his concern at the FALL. Natural reaction and very understandable. I completely understand your concern on the fall in your Portfolio. Nobody likes to see their portfolio going DOWN but its essential to remember that these are NOTIONAL LOSS. So, when the Direction is right....in this case...our Direction is Wealth Creation and our vehicle also right...that is the EQUITY MUTUAL FUNDS...then there is absolutely no need to keep looking at the NAV on a daily or even a Weekly basis. Sometimes it makes great sense to be like an Ostrich and ignore the noise all around. I will be like a SWAN and ensure that you invest only in the RIGHT funds.....Funds that suit your profile and horizon. The October 2017 circular which required grouping their Schemes under Specified Categories like Large Cap, Mid Cap, etc based on Market cap of the underlying stocks called the CATEGORISATION & RATIONALISATION OF MUTUAL FUND SCHEMES took the wind out of Midcap/Small Cap Rally. Of course, the SEBI circular only acted as a trigger for the sell off as almost the entire Midcap and Small Cap space was extremely overvalued. Even in Sensex/Nifty, the Rise has been restricted to largely only 5 stocks. It has been that CONCENTRATED! Your fund will not be mirroring the Sensex ...right?? Our Funds are neither in Sensex or Nifty!! 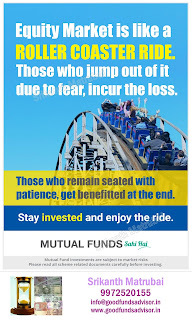 Nor do our funds any significant stocks which make up the Sensex/Nifty and its neither a surprise nor a shock that your Mutual Fund NAV is down and down quite significantly. The Sensex had a BIG RALLY from 3000 levels to 21000 levels between 2003-2007. However, the rise was not at all linear. The Sensex fell more than 10% for 13 times in this period and out of which 1 time it was a 23% fall and another time it was a 29% fall. Just imagine if you had WITHDRAWAN your money from the Markets when these fall happened. You would have missed the 700% RISE for panicking after a 10% fall! These falls of 10% are an opportunity to invest rather than getting panicky. And, you as an Accumulator for funds should actually be HAPPY if the NAV is coming down. BUT WHAT IF THIS BECOMES A REPEAT OF 2008 FALL? Very valid question and quite understandable. NO one has the answer for this. In the last 10&half years, the market has moved UP by only 77% compared to the 700% rise in the 2003-2007 Bull Run. My interaction with Fellow Advisors, Fund Managers and my experience says that the 2008 Fall WILL NEVER get repeated as at that time the Markets had rallied ABNORMALLY. Still, if it happens, Markets would have reached Bubble stage and could be easily identifiable and I will definitely GUIDE AND HELP you to protect your Wealth. RELAX!! And, of course people talk about 2008 fall of 52% plus but no one talks about the BOUNCE BACK OF 81% the following year in 2009!!! The Midcap Fall and the Small Cap Fall does not mean that these companies are selling lesser number of Soaps, lesser number of Clothes. Focussing on Businesses instead of Stock Prices and NAVs is a good thing, especially in Bearish Times. Focus on the BIGGER PICTURE....Your Goals. When Situations Change, nobody knows how to respond. Thankfully, being in Equities for the last 27 years has helped me understand how to respond to this type of situation exactly as this happened many number of times in my professional career. STOPPING Your SIPs at this point of time would nothing short of a Disaster. It will hamper your Wealth Creation Hugely. Yes....I AM BAISED towards SIPs. But there is no other EFFECTIVE method of investing in Equity Markets which has the capability to deliver you ABOVE AVERAGE RETURNS. 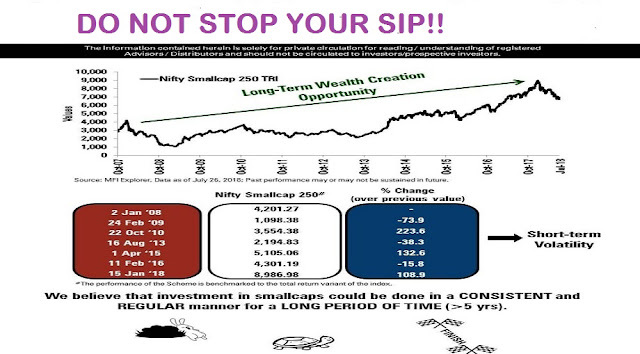 And, my dear friend, SIPs are actually more BENEFICIAL IN A DOWNWARD MARKET than in a Upward Market. Stopping Sip and worse, REDEEMING at this point of time will only convert temporary Notional Loss into a PERMANENT REAL LOSS! Does it still make sense to continue? Has my Asset Allocation altered? Have my goals been reasonably provided for? Are my goals still far off? The change is a fundamental change to the fund but not to your GOALS. If your goals are still far away...it still makes sense to continue to stay invested (and in fact, add more) Small Cap and Mid Caps. 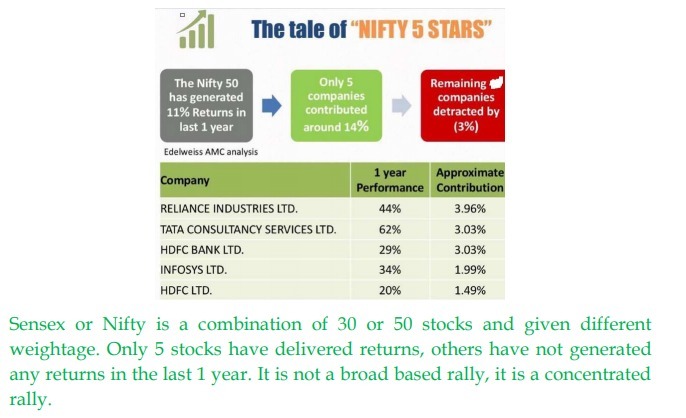 The History has proved time and again that Midcaps and Small Caps have given GREATER returns than Large Caps. The volatility will only increase in the NAVs from here on. But, you need to think LONG TERM and worry least about the fluctuations. These fluctuations and falls of 10% plus are actually a great time to INCREASE your Equity Exposure if your Goals and Asset Allocation allows you to. 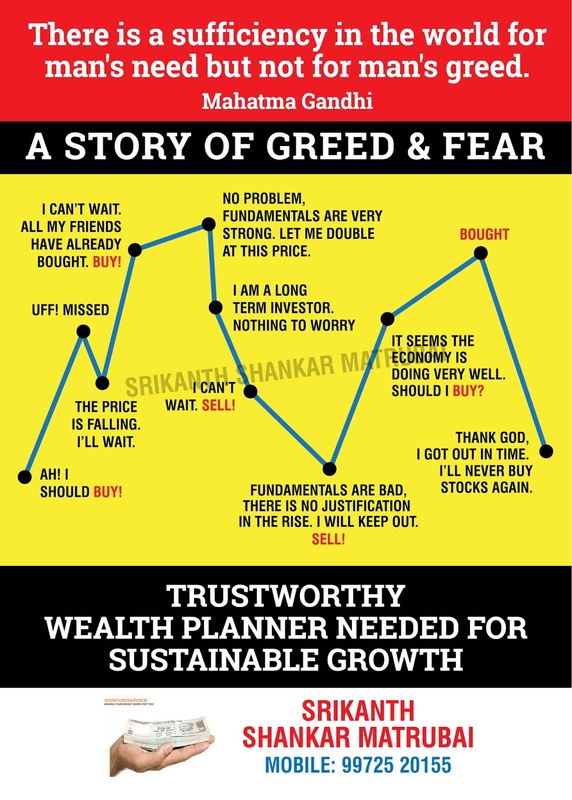 As your well-wisher, I would ensure that you stay the course and get out of this Temporary Blip without you suffering a stroke and create REAL WEALTH. If your goals are quite far...CONTINUE to STAY INVESTED. If your finances allow, do SIP TOP-UP and even consider investing a One Time Lumpsum. 1. Fluctuations are inevitable and is a part and parcel of Equities as with any other Business2. Equities is NOT for Short Term. Never Was. Never will be3. Positive Growth is a Given. Equities have outperformed all other Asset Classes by a Reasonable Margin consistently. The only problem is the accompanying FLUCTUATIONS. You have to Bear with it. 4. Constantly looking at your NAVs on a daily/weekly basis will not make the NAVs go Up but your BP will definitely go UP for sure.....Avoid looking at the same on a day to day basis5. Stick to Asset Allocation. Stick to Good Quality Funds. Invest with a Goal in Mind and in Funds which align to your Goal. 6. Dont listen to CNBC/ET NOW experts. It will only make you nervous. 7. Treat the Falls as an Opportunities to buy more units of Good Quality Funds at Lower Rates and reduce your Overall Cost of Purchase8. Continue to have a Advisor who will Hand Hold till you reach your Goal. 9. 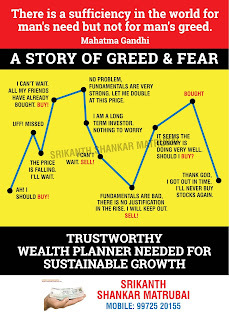 No Pain No Gain is definitely true for Wealth Creation, especially Equities. 10. Falls are an Opportunity. Profit from it. In fact, you should pray for the Markets to fall if your Goals are far. Equity is not to get rich fast. It is just that equity compounds wealth at a higher rate than other assets. Be ready to get rich slowly. Very crisply summarized. Thank You for these notes. Good read , best way of addressing client concerns . 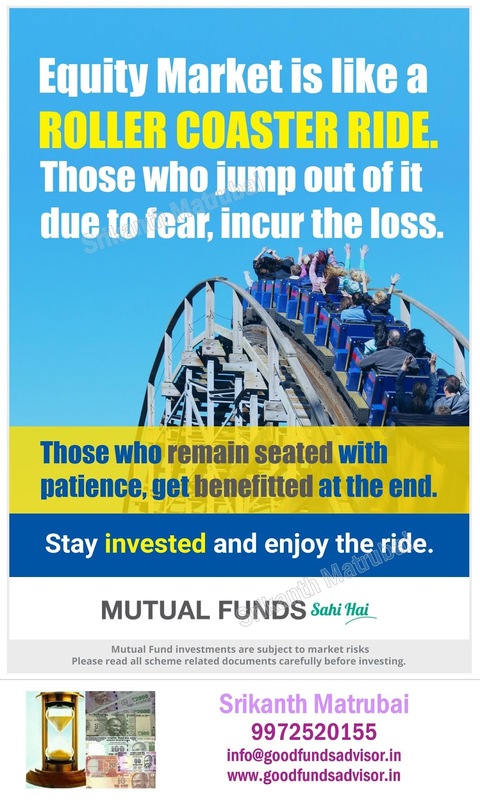 Very well written thoughts..it reflects your rich experience of all these years and gives a direction to the investors who concerned about short term volatility in portfolio.